The naming of their wine, Acaibo, was a special process for Gonzague and Claire Lurton. Having already acquired properties with long histories and well-known names in Bordeaux.This was the first time in their winemaking careers that they would be able to choose the name by which their vinous creation would be known. For Acaibo, the flagship of Trinite Estate,Gonzague and Claire are of the belief that all great wine is intrinsically tied to the land, or terroir, from which the grapes are grown. 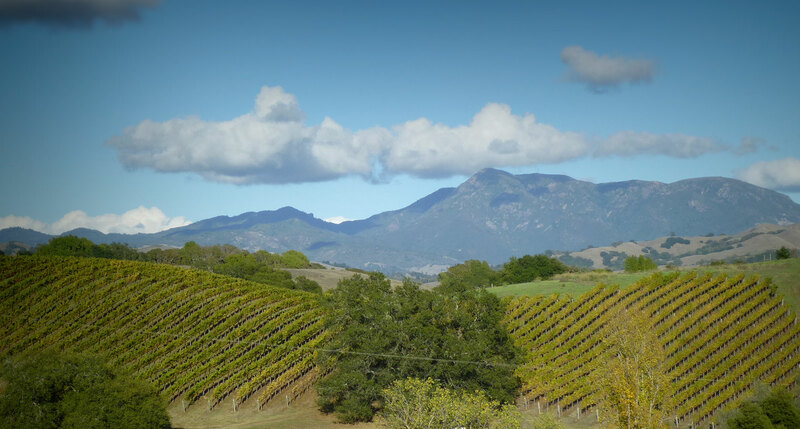 Upon coming to California and beginning their new wine adventure here, the Lurtons quickly realized that unlike Bordeaux where it rains quite frequently, water is certainly the most precious resource. 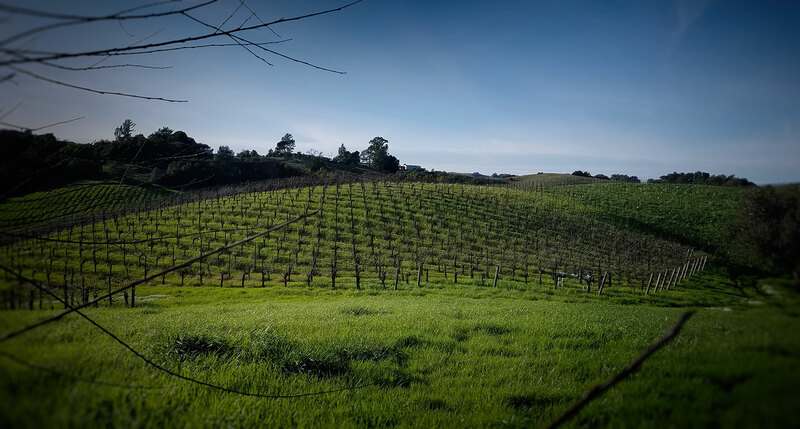 Thus, it was clear to them that they need to find a name for their wine that both made a connection to the land and its history as well as allude to the most elemental resource that is at the core of viticulture in Sonoma: water. It is no wonder that Claire, who studied ancient documents in Paris as a student, would stumble across a text that outlined the etymology of a group of Native Americans loosely grouped together under the name Pomo. Hence, the name Acaibo was discovered deep within the linguistic history of the group native to the Chalk Hill region. 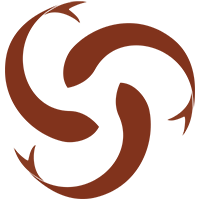 Aca meaning fish, or Aka meaning water, was combined with sibo meaning three to come up with an elegant term for our wine and a nice logo to go along with it. 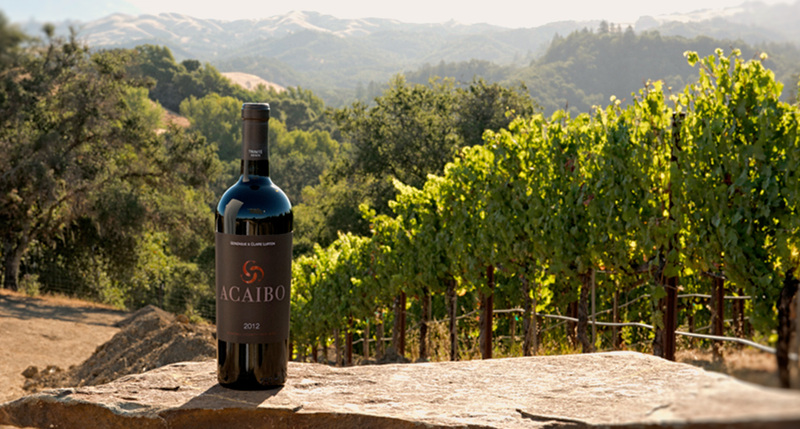 Acaibo nestles in the hills in a small corner of the Chalk Hill area of Sonoma. Protected from the coolest breezes by the surrounding hills, it is perfect for the kind of Cabernet that Claire and Gonzague like to drink: intensely flavored, but with elegance and structure for a long life ahead. Claire remember her first days spent on the property, when the vineyard was only a rough dream, and she heard tales of bears and mountain lions in the hills. And how she served her guests tea in the 18th century tea set that belonged to her great-great-grandmother in Bordeaux. She had brought it as a small remembrance of her roots, even as she was planting new roots in a wild estate in Sonoma. At once, Acaibo is an homage to the Lurton’s three children and the three cultivars (grape varietals) that they have long held in the highest of esteem: Cabernet Sauvignon, Merlot & Cabernet Franc. The Latin saying Omni Trium Perfectum, loosely translated as all sets of three are perfect, captures the notion that great things have come in threes for this couple. Their three Grand Cru estates is what brought these two together. It is the juice of three different grape varieties, however, that run through the veins of these properties and it is in their harmonious blending that the world gets to share in the Lurtons’ passion. After 20 years of marriage and adventures together the world over, their most precious treasures today are their three beautiful children. With an eye to the future, Gonzague and Claire look at themselves as stewards of their land with the certitude that one day, it will be their children who walk the vines and cellars of these magical properties. Although born into a wine family, Claire never imagined that one day she would be at the head of 4 prestigious Bordeaux Châteaux. As a young student, Claire studied chemistry and archaeology and moved to Paris to prepare her thesis on the restoration of ancient documents. Her life as a student in Paris was short-lived, however, when in 1992 she was summoned back to Bordeaux to take over her family’s estates from her mother Bernadette Villars. In a world often dominated by men, Claire’s mother broke the mold with an enthusiasm and passion for wine that remains evident in her daughter today. There was even a time, when Bernadette first took the reigns of the estates, that the old-guard cellar master refused her entry into his domain, citing that the presence of a woman would spoil the wine. In short order, she proved that under her careful guidance and certainly amid her larger than life presence, the wine was better than ever and the properties excelled. And so, it was in her early 20’s that Claire was passed this torch that burned so brightly. She thrust herself wholeheartedly into the world of wine and, like her mother before her, quickly found her rightful place aside the most prominent men of the industry. She learned the art of winemaking and the science of viticulture both in the classroom at the Faculté d’Oenologie de Bordeaux and alongside her grandfather, Jacques Merlaut. Her rigorous hands-on training with her grandfather allowed her to understand many nuances of the trade and helped prepare her for a life in the vines and cellars of France’s greatest treasures. Claire was immediately tasked with managing and maintaining a high standard of excellence in the beloved family jewels of Châteaux Chasse-Spleen and La Gurgue, as well as the more recently acquired Grand Crus: Ferrière and Haut-Bages Libéral. Later joined by her sister Céline the family decided that it would be better to split the responsibilities. Unfazed by the high expectations of running a classified estate, Claire took on the challenge of bringing back the two Grand Cru Classé Châteaux of Ferrière and Haut-Bages Libéral to their former glories. Over the years, Claire has dedicated herself to reinstating these properties to their rightful place among the world’s finest wines. 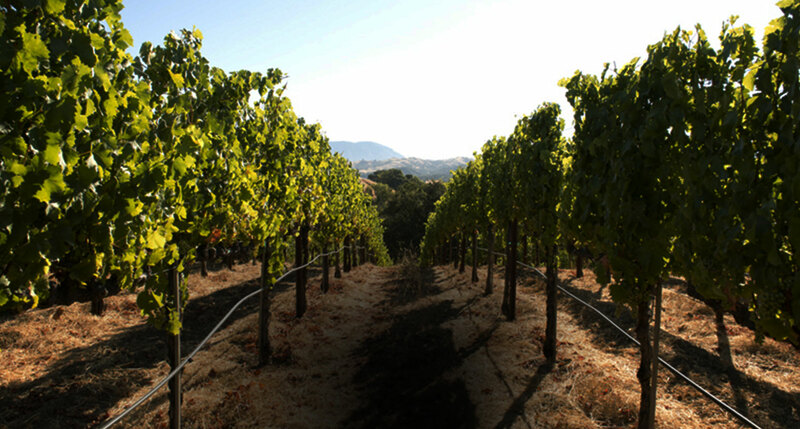 Continual effort has been made in the vineyards with extensive soil surveys and a dedicated replanting program. Both are certified byodynamic vineyards. 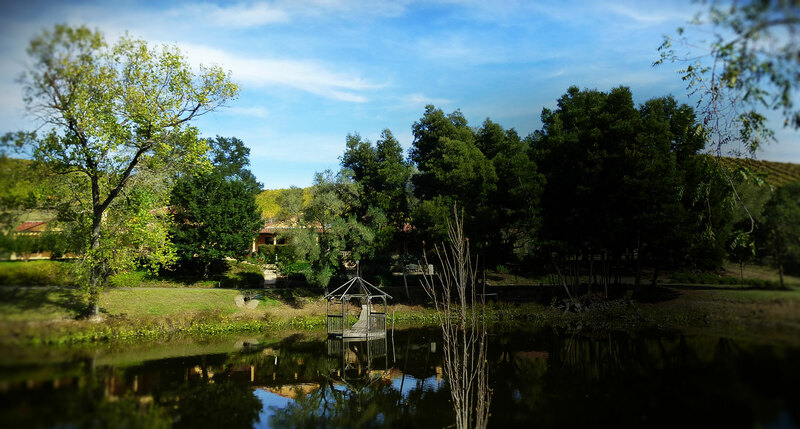 She has also updated and remodeled the wineries at both properties and these beautiful state of the art facilities are now models of precision and excellence. It is not always easy to live up to a family name, especially one as ubiquitous as the Lurtons in the wine world, but Gonzague is more than up to the challenge. The Lurton family has been a major player in the Bordeaux wine trade for over three generations with a handful of classified Châteaux and dozens of other fine properties to their name. Lucien Lurton, Gonzague’s father, spent his entire career acquiring properties throughout the Left Bank of Bordeaux, often saving these precious pieces of land and history from ruin. By 1992 Lucien had accumulated 12 different winemaking estates and decided it was time to pass them on to the next generation. The dream of a life in California actually started with Lucien when in 1952, as a young wine professional, he set out to explore the world and ended up working at the famed Wente Vineyards in the Livermore Valley. Forty years later, after ceding his numerous Châteaux and life’s work to his children, Lucien set out once again to recapture the adventures of his youth. It was during this epic journey around the globe, that Gonzague received a call from his father beckoning him to Sonoma. Recognizing the immense potential to make wines that could rival his beloved Bordeaux, Lucien instilled in Gonzague a desire to make this dream a reality. Before being thrust to the head of a renowned Château, Gonzague had studied economics and worked in finance. He used his keen business sense to reinsert life back into the underperforming property. After a decade of intensive geological surveys in the vineyards and a heavy investment in the winemaking facilities, Durfort-Vivens has enjoyed a certain renaissance and is certified Biodynamic vineyard. Gonzague also presides over the community of growers in Margaux, the Syndicat Viticole de Margaux, which shows his willingness to get his hands dirty. He is also the founder and president of the family-owned wine merchant business, La Passion des Terroirs, which has become one of the most important “negociants” in the region and export Bordeaux wine all over the world.